During the 35th session of the Assembly of Heads of State and Government in Algiers in July 1999, the Organization of African Unity (OAU) proclaimed the beginning of the African Decade of Persons with Disabilities (1999-2009). They did so because of a general disappointment with the results of the United Nations (UN) International Decade of Disabled Persons (1983-1992), which was characterized by the OAU as ‘a global approach’ to disability. The African Decade in contrast was to provide ‘a local approach’, as laid out in a Continental Plan of Action. This document attests to a transnational history of disability on the African continent through the involvement of the UN and its specialized agencies. It also illustrates the difficulties of summarizing this history under one general descriptor; while human rights language was ever present, this was also a story of development and of earlier concepts of charity. A summary of the history of disability rights at the UN level usually begins in 1971, with the so-called Declaration on the Rights of Mentally Retarded Persons. During the following decades more declarations and events followed, like the Declaration on the Rights of Disabled Persons (1975) and the International Year of Disabled Persons (1981), followed by an International Decade (1983-1992). This decade resulted in the Standard Rules on the Equalization of Opportunities for Persons with Disabilities (1993), and all of this finally culminated in the 2006 Convention on the Rights of Persons with Disabilities (CRPD). From the perspective of the United Nations, this history is told as a teleological success story of how people with disabilities went from objects of charity and medical intervention to subjects with rights. However, as the OAU’s disappointment leading to the African Decade suggests, this history of a ‘rise and rise’ of human rights (or disability rights) might be more complicated. When writing this UN history from the perspective of Africa or the Global South, a more critical history emerges, that cannot be simply summarized as a teleological history of human rights. Through a series of reports in the 1950s the UN’s specialized agencies developed their first international programs for the rehabilitation of persons with disabilities. These programs did not directly lead to actual interventions in Africa, but they did set the tone for the shape and content of future interventions. While these reports recognized that people with disabilities should enjoy the same rights as anyone else, the main solution put forward was rehabilitation. This focus on different forms of rehabilitation (medical, vocational, special education) can be found in interventions and programs by UN agencies in subsequent decades, especially those interventions aimed at the Global South. The narrative of (human) rights, though always present, has been displaced by a narrative in which people with disabilities are viewed as a burden to their families and the national economy, and thus need to be made into active citizens through rehabilitation. This economic and developmentalist shift to rehabilitation was not only an aspect of UN policies. African political elites in early postcolonial states, driven by the desire to develop their national economies and catch up with the rest of the world, also quite often came to embrace the rehabilitation paradigm. In Ghana for example, Kwame Nkrumah’s government developed a rehabilitation program between 1961 and 1966, aimed at turning people with disabilities into more productive citizens, able to contribute to the growth of the national economy. Likewise, when the ILO started a vocational rehabilitation program in Tanzania in the 1970s, it fit very well into Nyerere ’s vision of a ‘self-reliant’ nation, based among others on the collective hard work of self-reliant citizens. In turn, programs by national governments or international organizations could build on a colonial legacy. During the stages of late colonialism, various state and private initiatives were implemented to rehabilitate disabled colonial subjects. 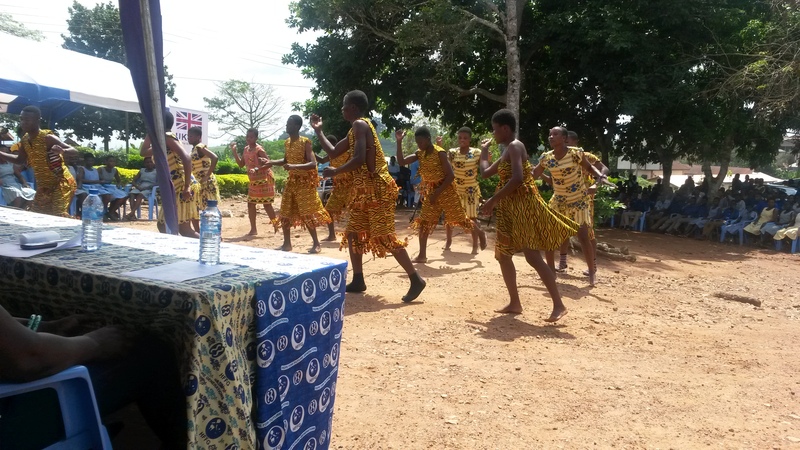 The British government, for example, opened rehabilitation units for disabled African soldiers in its colonies. Additionally, special schools and rehabilitation centers were founded, usually run by missionaries. The above history is mostly one of disability as development, with rehabilitation intimately linked to issues of productive citizenship. Nonetheless, human rights are never absent in this narrative, as the right to work, education, and an adequate standard of living were integral parts of these programs. Yet all of these interventions were very top-down, and often overlook how African people with disabilities themselves have been indispensable actors. All over the African continent, disabled people’s organizations (DPOs) were formed, some as early as the 1950s. These organizations have been instrumental in obtaining rights for people with disabilities. In Kenya protests by the Kenya Union of the Blind already led to the first government interventions in 1964. In the neighboring Tanzania, the two Disabled Persons Acts of 1982 are generally recognized as a first important accomplishment of the advocacy of DPOs. Elements of charity, development and economical thinking continued to be part of the history of how UN agencies approached disability on the African continent. While people with disabilities all over Africa invested in obtaining rights, thereby influencing politics and society at large, the rehabilitation programs by UN agencies identified people with disabilities themselves as the problem, aiming to help them in overcoming their disabilities. At least until the 1980s, UN programs rarely cooperated with local DPOs. The story of a linear move from charity to rights should thus at least be nuanced. All of this helps to explain to some extent why the OAU found the impact of the UN International Decade to be very limited in the Global South, and why a more localized approach was deemed necessary in an African Decade. This is why the plan of action for this decade called for policies and programs that “encourage the full participation of persons with disabilities in social and economic development” (OAU 2003). It is also why the slogan of the UN International Decade – “full participation and equality” – was supplemented with the concept of “empowerment”, firmly recognizing the role of disability advocates and their struggle for human rights. Historiographical debate is limited about these transnational events and evolutions themselves, but they do touch upon fields of historiographical inquiry that are currently heavily debated: the history of human rights, the history of development, and disability history. While the first two do not venture into the subject of disability, the last one rarely communicates with the more mainstream histories of human rights or development. Such a dialogue, however, offers a lot of potential. Looking through the lens of disability historically can question the entanglements and even blurred boundaries between the concepts of human rights and development. Likewise, disability history has much to gain from insights into how development and human rights are both part of the bigger history of how societies have dealt with its “disabled Others”. Organisation of African Unity. Continental Plan of Action for the African Decade of Persons with Disabilities (1999-2009) (Addis Ababa, 2003). Gebrekidan, Fikru Negash. ‘Disability Rights Activism in Kenya, 1959-1964: History from below’. African Studies Review 55, no. 3 (2012): pp. 103–22. 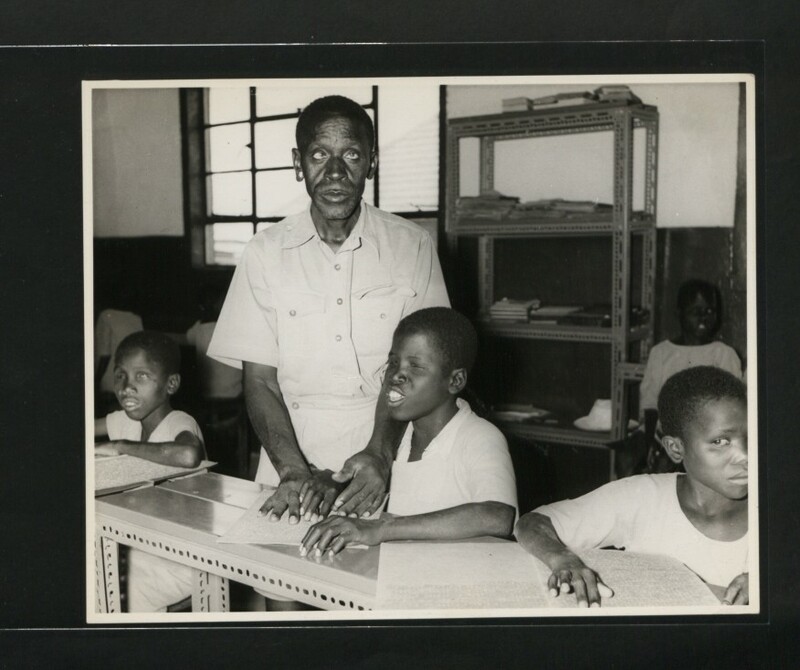 Grischow, Jeff D. ‘Kwame Nkrumah, Disability, and Rehabilitation in Ghana, 1957-66’. The Journal of African History 52, no. 2 (2011): pp. 179–99. Livingston, Julie. Debility and the Moral Imagination in Botswana (Bloomington: Indiana University Press, 2005). Driedger, Diane. Last Civil Rights Movement: Disabled Peoples’ International (New York: St. Martin's, 1989). Heyer, Katharina. Rights Enabled: The Disability Revolution from the US, to Germany and Japan, to the United Nations (Michigan: University of Michigan Press, 2015). Sam De Schutter is a PhD candidate at Leiden University. His research focuses on the history of disability and development, investigating how the UN agencies designed programs and interventions on disability in Africa during the second half of the twentieth century. He is part of the ERC project ‘Rethinking Disability: The Global Impact of the International Year of Disabled Persons (1981) in Historical Perspective’. Sam was a participant of the Global Humanitarianism Research Academy 2017. Citation: Sam De Schutter. ‘Algiers, 1999: Disability, Development and Human Rights in Africa’, in Online Atlas on the History of Humanitarianism and Human Rights, edited by Fabian Klose, Marc Palen, Johannes Paulmann, and Andrew Thompson, 2017-10, urn:nbn:de:0159-2018012308 [2019-04-26].